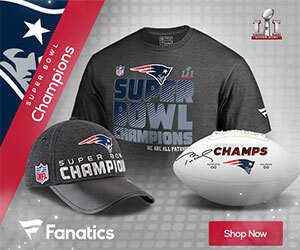 Pre-season NFL – How are Fans Feeling about Their Team’s Chances? July 28, 2017 Guest Blogger NFL Comments Off on Pre-season NFL – How are Fans Feeling about Their Team’s Chances? This is a guest post by Rob Toledo. Rob is the Editor at SportFacts.org, a Seattleite who drinks a lot of coffee and doesn’t mind the rain too much. Despite crying through almost every MLB season, he loves the Mariners with all his heart. And despite recent success, he’s still always worried about the Seahawks collapsing, as any Seattle sports fan should be. With the NFL draft and OTAs behind us, and pre-season coming up here soon, it seems like a good time to make a few assessments about teams that look like they’re going to make deep playoff runs, and compare those who are likely going to frame the 2017-18 season as a “rebuilding” year. 3) Oakland Raiders – Derek Carr is really starting to look like a stud on the field, with a command of the offense, and plenty of weapons developing around him. The defense also looks ready to carry the team, with Mack already making a case for a career with plenty of future DPOY awards in sight. 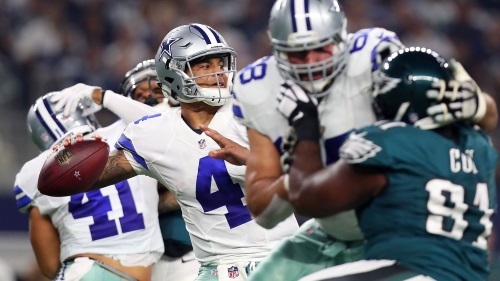 2) Dallas Cowboys – Dak Prescott, Ezekiel Elliot, and one of the best offensive lines in football should make for a pretty dynamic offense in the upcoming season. But this team certainly out-performed expectations last season, so others are predicting a regression. This will be one of the most exciting to watch. 1) New England Patriots – It goes without saying that the New England Patriots are of course contenders. The last season they weren’t was probably almost 20 years ago in the pre-Tom Brady years. Keep in mind this team won the Super Bowl last year without Gronkowski, who will be back this year, making the loss of Bennett a little less painful. 3) San Francisco 49ers – While their front office made one of the best moves in the 2017 NFL Draft, basically fleecing the Bears trading picks, the roster doesn’t have nearly enough talent for a big run. Give this team some competent leadership over the next 2-3 years though, and they could be back in business. 2) Chicago Bears – Give these guys one win against Green Bay in the upcoming season, and that will be their own Super Bowl victory. Other than that, though, they’re still on the hunt for the elusive franchise QB, and they’re not alone. 1) New York Jets – It has never been more obvious in recent NFL history that a team is tanking a season before the first snap. There’s that old comparison, as to whether or not the leading college football team could beat the worst NFL team, and the answer is certainly “no,” but this year… maybe, just maybe the Jets will be that bad. Even their own players say it’s hard to deny.